I hope this is the first in a series. 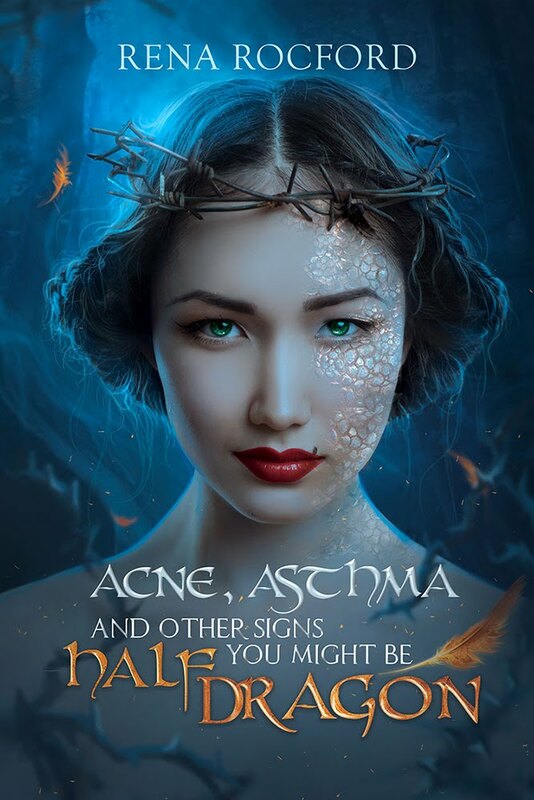 Yes I am writing a sequel to Acne, Asthma, And Other Signs You Might Be Half Dragon. No, just cause I'm writing it doesn't mean that it's going to happen. Are you going to self publish the sequel if it comes to it (i.e. if my publisher decided not to pick it up, or folded or otherwise was unable/unwilling to publish the title)? I don't know yet. The thought of being in charge of the whole thing currently makes me shiver in me timbers. Are you going to be writing anymore contemporary? Probably not. They aren't my real cup of tea, and the last one made me cry too much. Also, the general lack of explosions and car chases was a real downer for me. How long does it take for you to write a novel? Umm, that depends on the rest of my life. I know, I should be all professional, but unfortunately, my muse doesn't work that way. I started in on the sequel in March, but had to put it aside for other endeavours (fingers still crossed), and only just started back in on the sequel. So when will my first draft be done? Historically 2 to 3 months. So in July-ish. Maybe? Next question! Glad to read there's a sequel in the pipeline. Best of luck with it! 2 to 3 months for a rough draft. Sigh.... You are a speed writer compared to me.